Are you an aspiring artist who wants your own recording studio? They say start small, but where do you really start? Having a home recording studio is something that is now becoming fairly common among music producers, artists, and even hobbyists. The thing about the modern recording studio today – is you really don’t need much to start producing music. Thousands of branded studio equipment have now become accessible and affordable more than ever, and the digital age has made it easier – with computers and plugins replacing studios. If you’re on a tight budget, you can go for a minimalist approach and buy gear that’s compact and affordable. As long as it does the job, you’re better off starting with the basics. However, if you have more money to spend, you can go ahead and splurge on a more intermediate set of studio equipment. Before buying anything, it’s important to set a specific goal. Is music production going to be a hobby? Or is it something you want to take seriously and make a living from? Knowing the reason you set your studio will determine the type of equipments you’ll invest in – so write down your goals and purpose. Written them? Let’s talk about the essentials for a home recording studio. Your computer will be the heart of your studio. Generally speaking, a laptop or PC with at least 8GB of RAM, running on a Core i5 processor is a good start. Read more: Should I use Mac or Windows for Music Production? You plan to record and make music on the go. Want to use the same laptop you produce music on – for performances, DJ-ing, etc. Doing music production as a hobby. You’re not planning to record lush and large film scores. You plan to have a stationed recording studio. Need bigger CPU firepower to produce larger scores or music. On a budget, and don’t mind losing out on mobility. Want to go all-in into a music producing career. Obviously, the reasons to go for either a laptop or computer will vary depending on your needs. 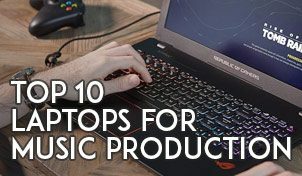 However, you’ll get further with building your own custom music production PC, compared to a laptop. When it comes to computers to do recording and producing – faster storage drives (SSDs), bigger RAM and CPU is your friend. I’m however a fan of mobile music making. And from experience, depending on the type of music you do, sometimes even a laptop will suffice. Few music production computers to give you an idea. Apple Macbook Pro 15 – If you’re leaning towards using DAWs like Logic Pro, the Macbook Pro 15′ is one of the most popular options for DJ’s and music producers. I like its reliability (as long as you don’t get a defect machine) and Core Audio – the digital audio infrastructure built with all Macs is way ahead from Windows Audio. 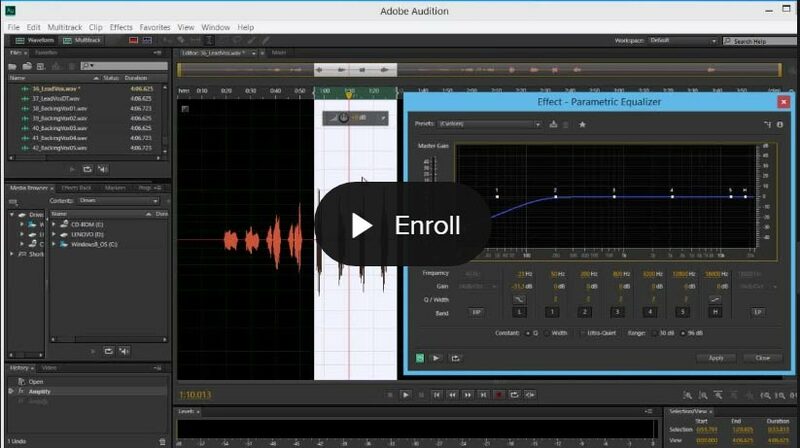 PC Audio Labs – You’re probably better off building your own music production PC. But if you need experts to handle it for you, PC Audio Labs makes pretty good computers for music production. Your DAW is the software that you use for recording, editing, mixing and generally to produce music. If you own a Mac computer, it already comes with a basic DAW, Garageband. You can then upgrade to the full version called Logic Pro X, available on the Apple store for $199 – which honestly, is one of the most complete DAW, widely used by music producers. Choose a DAW that has good support and updates. It helps to go for DAWs that has a community forum filled with active users. This would be valuable whenever you have questions to ask and there’s a community to help you. DAW makers like Presonus Studio One and Reaper has strong communities like these. The company also constantly listen to user requests and builds new features into the DAW. These days it pays to use DAWs that works on both Windows and Mac. This opens up more opportunities to collaborate with other music producers around the world who might not be using the same computer OS as you. Like it or not, if you work professionally with music – you’re going to bump into scenarios where you’ll have to work in ‘industry-standard’ DAWs like Pro Tools or Steinberg Nuendo. It pays itself to be a producer who knows how to use Pro Tools. Other than that, I’d suggest you try a few DAWs to get a feel of producing with them, before settling for a DAW. Depending on your needs, look for how intuitive the interface is and if it helps you produce music more efficiently. Are the effects, plugins and instruments that come with it enough for your production needs? Otherwise, here are some quick suggestions. Logic Pro – Definitely one of the most complete DAWs at only $199. Reaper – Affordable and highly customizable, for Windows. PreSonus Studio One Priced for as low as $99.95, this is a DAW that you can scale with. 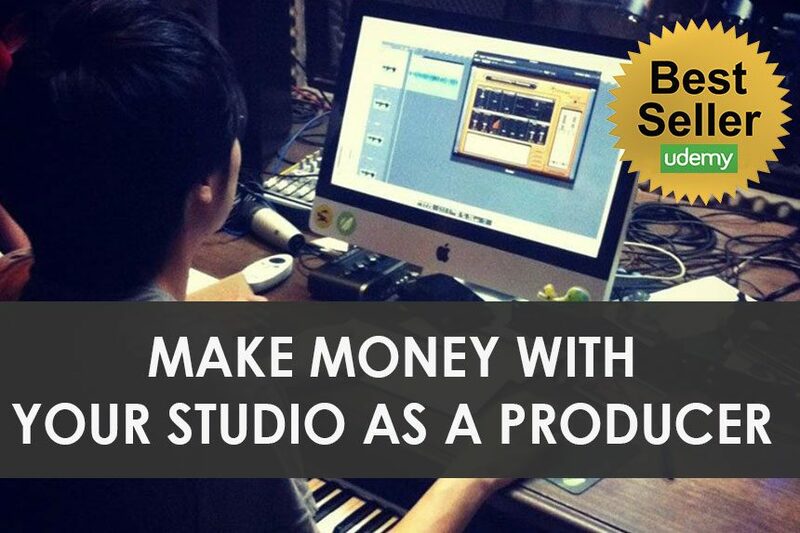 FL Studio – Recommended for electronic music producers. From more of a fun software, it has now turned into a more serious DAW, with a complete sequencer, arranger and more. 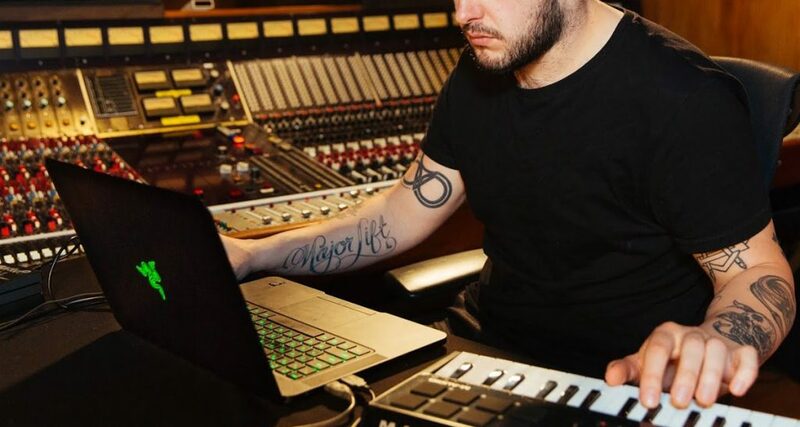 Ableton Live – Kind of the ‘staple’ for electronic music and DJ-ing. Pro Tools – Industry standard DAW for commercial recording, mixing, mastering and broadcast work. An audio interface is like an external soundcard that helps you record analog audio (microphones & instruments) into digital audio on your computer. It also ensures better audio quality for tracking and mixing. You’ll need an audio interface if you plan on doing any type of recording like vocal recording, guitars and as well as capturing live performances. For producers who don’t do recordings, having a dedicated audio interface helps you with lower audio latencies – especially when using virtual instruments and plug-ins. Better audio interfaces with good DACs (digital audio converters) also helps with more accurate audio representation on your headphones or studio monitors. For starters, an audio interface with a basic amount of inputs and outputs is good enough to get the ball rolling. This will, of course, depend on your needs, as well as the type of music you produce and which tasks you need to get done. You should also consider the type of connectivity that you’ll need and have access to. USB is the most common among users, but Thunderbolt is faster and comes with lower latency. Focusrite Scarlett Solo – Known for their quality preamps, Focusrite is a popular choice among artists and producers. This USB-powered box comes with 2 ins/2 outs, 1 mic preamp, 1 instrument input, and a bunch of bundled software programs for Mac and PC. PreSonus Audiobox USB 2×2 – For an affordable price of around a hundred dollars, you’ll get an interface with a solid build, decent amount of inputs and outputs, two quality preamps, as well as a bundled full version of Presonus’ Studio One Artist DAW. You might want to research more on which interface will run smoothly with your chosen DAW because it’s quite inevitable that there will be compatibility issues along the way. When it comes to producing music, relying on real instruments to help you finish a project isn’t always applicable to everyone. There are some people who own and can play real instruments but there are also others who don’t. This is where a MIDI controller becomes essential. While music production is constantly evolving, more and more people are using virtual instruments that sound as realistic as they should be. 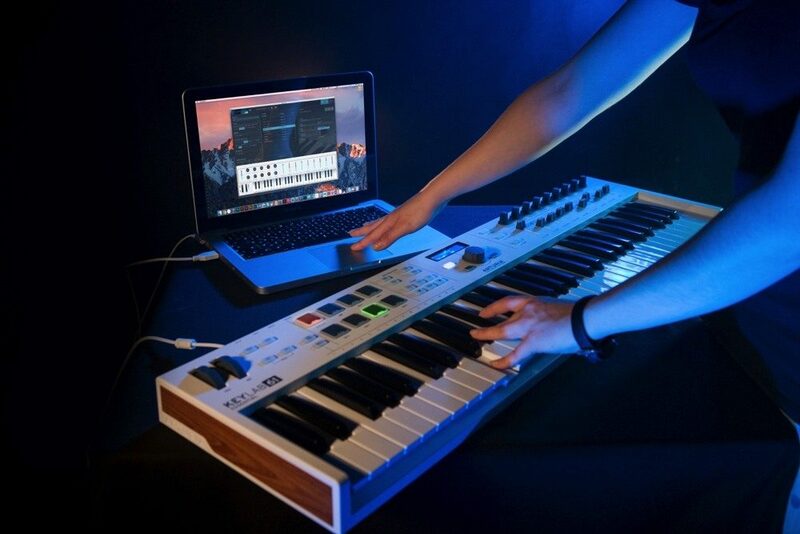 A MIDI controller enables you to play virtual instruments using keys and pads, while adding musical expressions with the use of effect knobs, pitch bend wheels and other controls. If you’re a piano player who wants to be able to play without limitation, you can buy a controller with 61 keys. On the other hand, a 25-key controller is perfect for someone who is just starting out, which can later on be upgraded to 49 keys if you want more flexibility without breaking the buck. AKAI Professional MPK Mini mkII – This $99 MIDI controller is quite popular among entry-level music producers and composers. It’s a USB-powered controller that has 25 velocity-sensitive synth-action keys, a 4-way thumbstick for dynamic pitch and modulation control, 8 backlit velocity-sensitive MPC-style pads, 8 fully-assignable Q-Link knobs and many more. This MIDI controller is also bundled with software programs such as Akai Pro MPC Essentials, SONiVOX Wobble, and Hybrid 3 by AIR Music Tech. A few cons that you might encounter will include some complexities in terms of keyboard to software configuration and a few build issues here and there. Nonetheless, it is still quite competitive for the size, price and features. Arturia MiniLab MkII 25 Slim-Key Controller – Coming from the same price range, this aesthetically awesome controller is also a good investment for music producers who care about a solidly designed build with lots of bundled sounds and VST’s to explore. It also comes with the Ableton Live Lite, one of the most popular DAWs among electronic music producers. 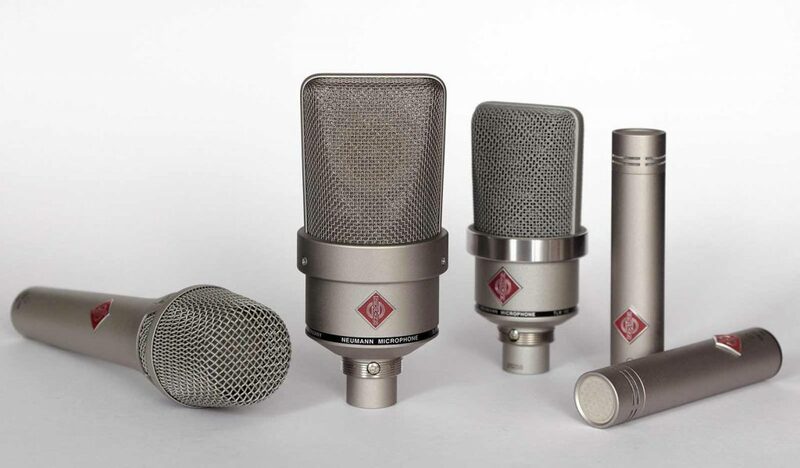 There are many kinds of microphones for different studio needs. For starters, including a dynamic or condenser microphone on your list will be valuable if you’ll do a lot of vocal and instrument recording. You can go for a USB-powered microphone if you want something quite basic and you’re skipping to buy an audio interface. On the other hand, buying a decent dynamic or condenser microphone will be a good investment for your recording needs. Choosing the best microphone for your studio will depend on several factors. If you’re a vocalist or a voice over talent, your vocal style and gender will matter, given that both male and female vocals differ in pitch, texture and timbre. This means that most microphones will capture and translate these vocals differently since each of them also have their own frequency responses. For instance, an MXL 770 will sound just right for raspy female vocals, as well as rap male vocals. A Rode NT1, however, will capture female vocals quite differently and might give it more of that sibilance, while making some male vocals sound a bit warmer. Choosing the right microphone for your voice will be tricky at first, so it’s better to try it out at a local audio store before buying. Another factor to take into consideration is the genre of music you want to record. While condenser microphones are often used for Pop, Hip-hop and other related genres, dynamic microphones are great for Rock, Grunge and Metal. The type of microphone to buy will also depend on what you want to record, aside from vocals. Condenser microphones are often used to record single instruments like an acoustic guitar, while dynamic microphones are better for recording drums. MXL 770 – One of the most affordable condenser mics on the market, this $70 mic comes with a free shock mount and a rugged carrying case for safe-keeping. This multi-purpose mic will give you that warm sound without compromising the top-end clarity. Rode NT1-A – If you’re looking for a complete package, you can purchase one of the most popular mics used by vocalists, studio owners and musicians. Although this one is a bit pricier, this all-around microphone package comes with a studio-grade pop filter, shock mount, a 20-inch microphone cable, a dust cover and an instructional video CD. In order to be able to monitor while recording audio and maybe mix-master on the go, you’ll need a decent pair of cans that can accurately translate your recordings. While there are many types of headphones for different uses, the most common for recording are the closed-back types. For monitoring, it is best to pick a pair of headphones that won’t bleed noise into the mic while you’re recording. Apart from monitoring while recording, you can also use your headphones as an extra reference for mixing and mastering. Take note that it is not advisable to rely on headphones alone, as it may cause hearing fatigue and ear damage. Mixing on headphones is also considered to give you that unnatural way of hearing sound, given that it will be too close to your ears – disregarding the space and environment which lets us hear music the normal way. Nevertheless, a pair of headphones is an essential element in audio recording and music production. Sony MDR-7506 – One of the most commonly used headphones by recording studios around the world, the Sony MDR-7506 will give you that accurate sound on a pretty affordable deal. Audio Technica ATH-M40X – Another affordable headphones from a well-known brand, the Audio Technica ATH-M40X comes in a nice build quality bundled with accessories and a detachable cable setup, useful for proper storage and traveling. 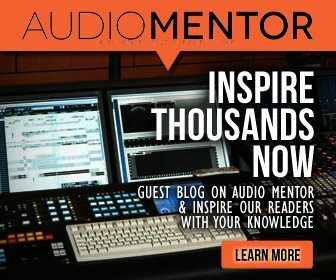 To give you the most accurate and transparent monitoring, studio monitors are one of the most essential items that you cannot skip in order to help you create better mixes. Although this is one of the items that will be more expensive to buy, investing on it will give you the best results and best value for your money. Choosing the right brand will depend on your preferences, as well as the size of your recording studio. Start with smaller monitors if you have a small space. Most monitors will come in different sizes for different room sizes. If you have that extra money to spend, you can consider buying them with a stand or a pair of isolation pads. Don’t forget to buy cables that will match your setup. Yamaha HS5 – Recommended by most mixing engineers and music producers, the Yamaha HS Series is one of the best industry standards that will give you that accurate reference with exceptional features for its price range. 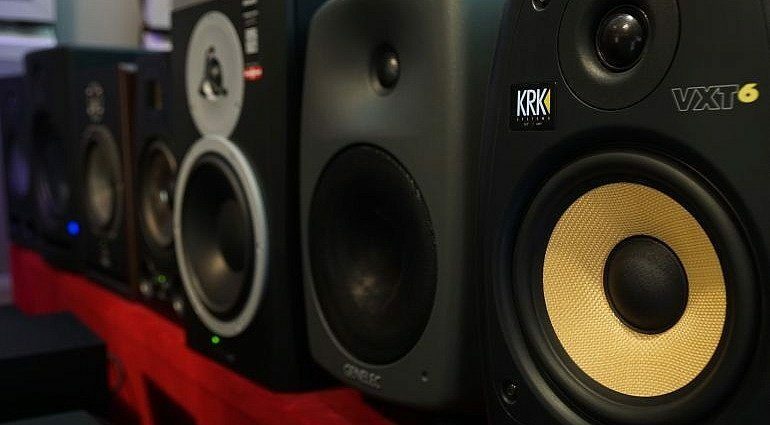 KRK Rokit 5 G3 – Another big player in the studio monitor game, the KRK’s have that neutral frequency response with back-panel controls that let you balance the low-end. This will definitely give you your money’s worth if you’re on a tight budget. More often than not, most beginners start with buying expensive gears before considering to treat their rooms or home studios acoustically. Although this is the most overlooked factor among newbies, buying the right kind of acoustic treatment will go a long way, especially when it comes to recording, mixing and mastering. Take note that soundproofing a room is different from acoustic treatment. When it comes to soundproofing, the goal is to keep the sound from leaking into the outside of your room and vice versa. If you have that extra money to spend, you can, of course, include this item on your list. In acoustic treatment, however, you are simply controlling how sound is reflected; balancing its diffusion and absorption in order to make better-sounding recordings. At first, you may not have an idea of which ones to buy and where to put them. Good news is, some companies specializing in these products have room analysis services which you can get for free. Some of them even have an app for both Apple iOS and Android which you can use to analyze your own room or studio. Bass Traps – These broadband absorbers technically deal with bass frequencies, but can also absorb some mid to high frequencies. Acoustic Panels – The most common that you’ll see in home recording studios, these panels are used for absorbing sound and acoustic correction. Diffusers – You can use these ones to treat unwanted echoes and reflections. As you explore the world of audio recording and music production, you’re going to have to deal with a lot of files. You may think that your laptop has enough storage but you will surely be overwhelmed once you start to take your recordings and music production to the next level. To get the most out of your computer’s performance, make sure that you separate the programs from your audio files by compartmentalizing your storage with an external hard drive. Install your DAW, plug-ins and VST’s on your computer’s drive and save your exported files, sample libraries and other files on your external one. This will optimize your workflow and save you from those dreaded crashes and slow loading times. StoreJet Transcend 1TB Hard Drive – For less than $70, this hard drive gives you 1TB of storage, a military-grade shock resistant cover, an auto-backup button and many more. Samsung 860 EVO 1TB SSD – Available in 120GB, 250GB, 500GB, 1TB, and 2TB, this solid state drive is a better investment for those who are not only looking for more storage but also looking to improve their computer’s performance and speed. The last item on the list are your recording accessories. This may not be the main focus when setting up a studio but you’ll be surprised at how often you’ll use them. In the beginning, you’ll need to take note of which type of cables your setup requires for microphones, studio monitors, audio interfaces, etc. The most commonly used ones are XLRs and ¼ inch instrument cables or TRS cables. An RCA might come in handy as well, if ever you would want to explore other options for connectivity. Adapters might also be used for headphones and other purposes. It is best to do your own research on which ones to include so that every accessory will just be within your reach if ever the need arises. Other studio accessories will include microphone stands, studio monitor stands, reflection filters or portable vocal booths, equipment bags and cases – the list goes on depending on how basic or how advanced you want your home recording studio to be. Now that you have an idea of the essential pieces of equipment to buy in order to put up a home studio, you can go ahead and do more research on brand and product reviews. This will help a lot in terms of choosing the right products and spending your money wisely. For any questions or tips regarding this topic, feel free to leave a comment below.